Karen Williams wears many hats. She is a cultural anthropologist, undergraduate teacher at Queens College and an instructor at New York Insight Meditation Center. Williams, though, also wears a helmet. And knee pads. And wrist guards. And roller skates. She is a veteran at Gotham Girls Roller Derby. 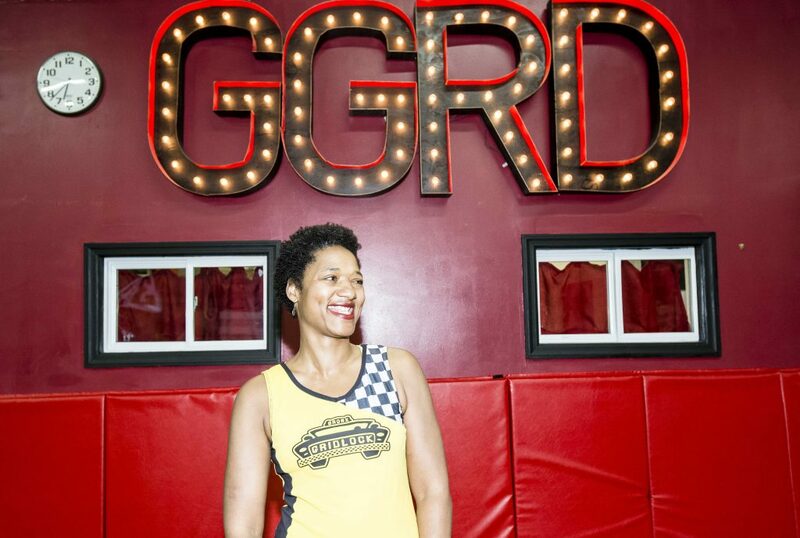 Gotham Girls Roller Derby is a non-profit women’s roller derby league based in New York City. The eight-team league is ranked second in the world by the Women’s Flat Track Derby Association (WFTDA) out of 399 full-member leagues and 50 apprentice leagues. Gotham Girls have won the WFTDA World Championships five times. Williams first heard of roller derby when she was in Columbia, Mo., doing research for graduate school. She had no idea what the sport entailed. “I wasn’t really into hitting people or roller skating,” she said. But she gave it a shot anyway. She fell in love with the sport following an eight-week introductory program. When she returned to New York City to finish her studies, she looked up Gotham Girls and tried out. Instead of renting skates like she did in Missouri, Williams needed her own pair. She went to Five Stride Skate Shop in Brooklyn, where a woman named Bonnie Thunders—who has been dubbed the LeBron James of roller derby by ESPN—sold her a pair of skates. “I had to look her up before I realized how important she was,” Williams said. Now she’s more than familiar with Thunders and roller derby. Williams, who goes by “BackAlley Dred”, is on skates whenever she has the time. Outside of her time in the classroom, Williams has a pretty flexible schedule, which allows her to complete her work and research. In fact, when she was in Denver for a family reunion, she ran off one night with roller skates in tow, to practice with the local team. Culture Trip: What was your biggest adjustment when you began roller derby? Karen Williams: It wasn’t so much the skating, it was more of the derby stance and hitting, and getting used to being hit that hard. It took a little while for me to get the mechanics down. I don’t know if it’s second nature but it’s a lot easier now. CT: How did you come up with your nickname? KW: I went through a couple of different names. There is this online derby name generator, so I put my name in there and I didn’t like it. Then I put in my mom’s name (Doris Jean Williams) and “BackAlley” came up. I was thinking “Bootealicious” because I like tea. I liked “BackAlley,” but was like “BackAlley” what? I started thinking about where I was (in Missouri) and realized that Dred Scott was a slave who sued for his freedom. At the time I had dreadlocks, too. I came up with “BackAlley Dred,” like Dred Scott but it’s also like dreadlocks and also dreading someone in the back alley—multiple layers to it. They call me “Dred” for short. CT: How have you seen roller derby grow since you got involved? KW: One of the big things is junior derby. They’re starting so young and that’s expanding the sport generationally. There are also more cities and people getting involved in roller derby. When you travel you can do just about anywhere. There are a lot of places you wouldn’t think they’d have a team or league and they do, like in Egypt. Susannah Hainley grew up with a varied athletic background—ballet, lacrosse, rugby, swimming. She never found her thing. She knew, though, that she preferred team sports to solo ones. Detroit Lions running back Ameer Abdullah enjoys a little pain and adversity. He favors wearing long sleeves or a hoodie—sometimes both—under his jersey when it’s hot out. Why? Well, if he can handle tougher conditions, playing on a normal day will be easier.